Bakers are struggling to meet demand for bread after the national shutdown brought supplies to a halt, Daily News can report. 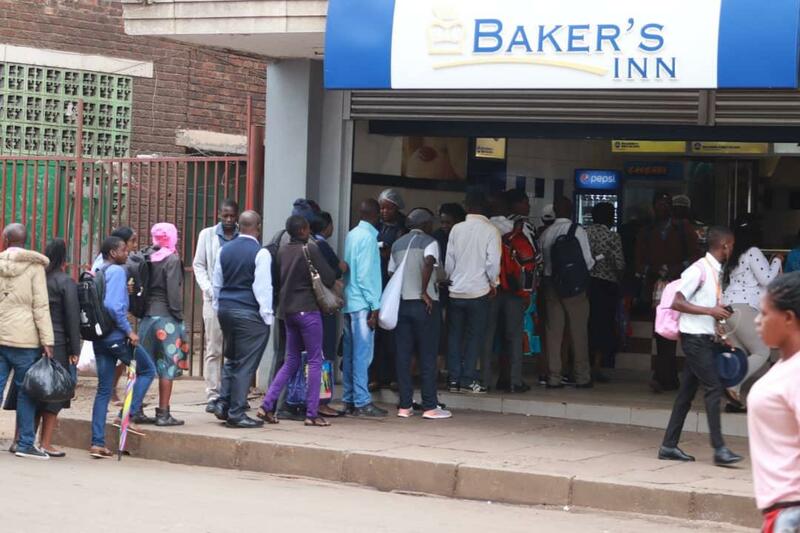 The supply has declined in most retail shops causing hundreds of people to queue for bread in most parts of the country. While bread price went up last month to $1,45 from about $1,20, its consumption has remained at peak in the country. A snap survey by the Daily News showed that most retail shops have insufficient supplies of bread from bread manufacturers which have led to a daily routine of endless winding bread queues in most retail shops. The shortages have also precipitated the black market which has preyed on consumers selling bread between $2 and $3. Confederation of Zimbabwe Industries (CZI) president Sifelani Jabangwe said: “It can be attributed to the shutdown, were they are still trying to stabilise to catch up with supplies. “The bread making system itself takes time after shutting down for some time because there are a lot of supply chains involved. The other challenge before the shutdown was fuel because most companies need diesel to heat up machines and for the distribution but we should see stabilisation next week,” Jabangwe said.